You can’t judge a book by its cover, but you sure can have certain assumptions about the content. The same basically goes to products and their label designs. For a customer to be enticed to buy your product, he or she should be able to get a good grasp of how your product is so much better than all the other brands. One of the ways to ensure that is through amazing product label designs. 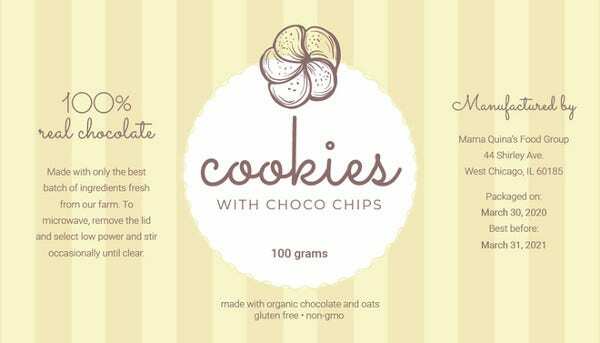 In this article, be inspired and get yourself awesome product label mockups to test your own label designs on. Working with a mockup is one sure way of overseeing the potential impact of your designs, not just to other people, but to your company as well. See your designs come to life and be assured of quality output in the actual production y downloading these mockups! 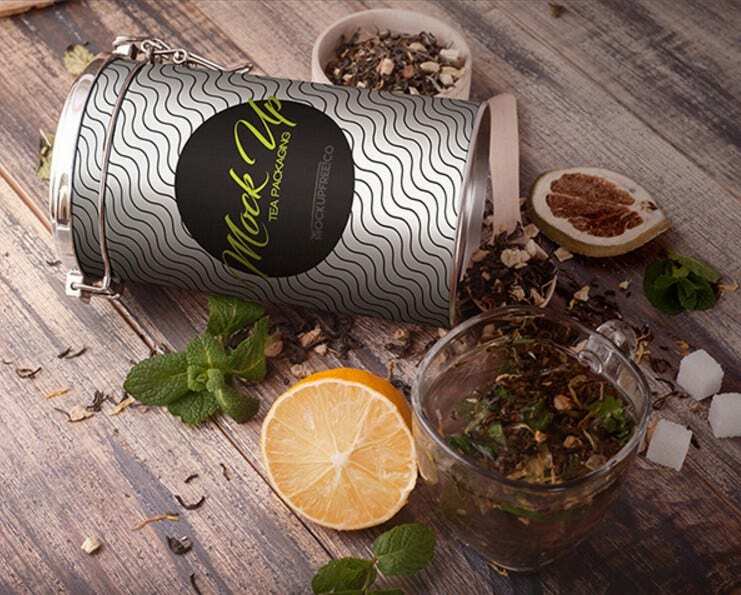 With this mockup, get a free label design for your very own line of tea. 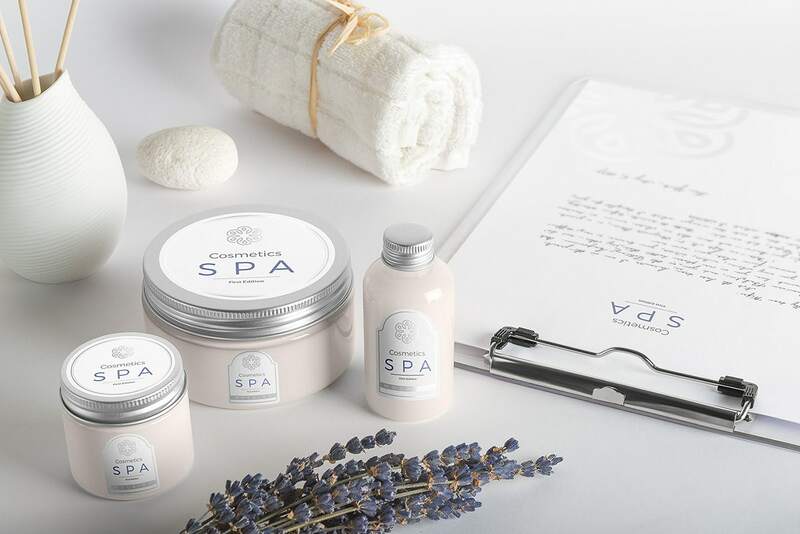 From packaging to tea bag labels, you can easily incorporate your own brand, and even add in design elements to make the layout more realistic. 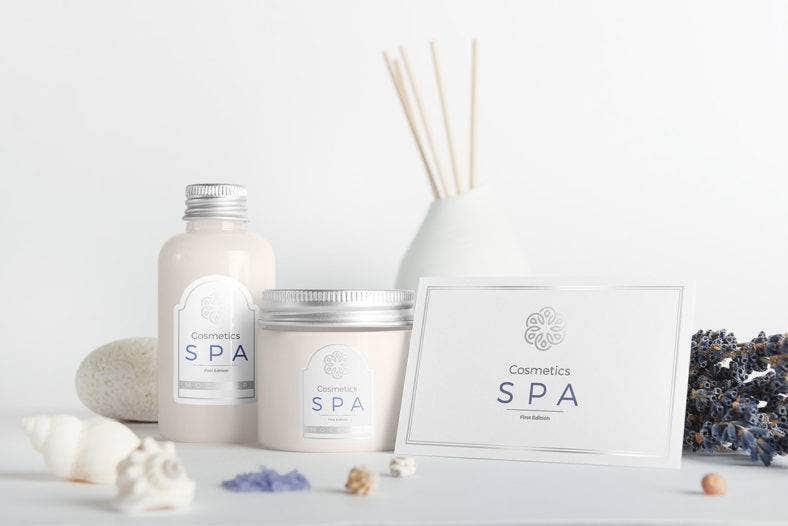 The Spa Product Label Mockup gives you a variety of product packaging templates, layout perspectives, and stationery templates to help you see the effect of your designs from all angles. Get this mockup and easily customize the various layouts to fit the brand and image of your company or e-commerce site. This urban chic approach to milk product packaging is one for the books. 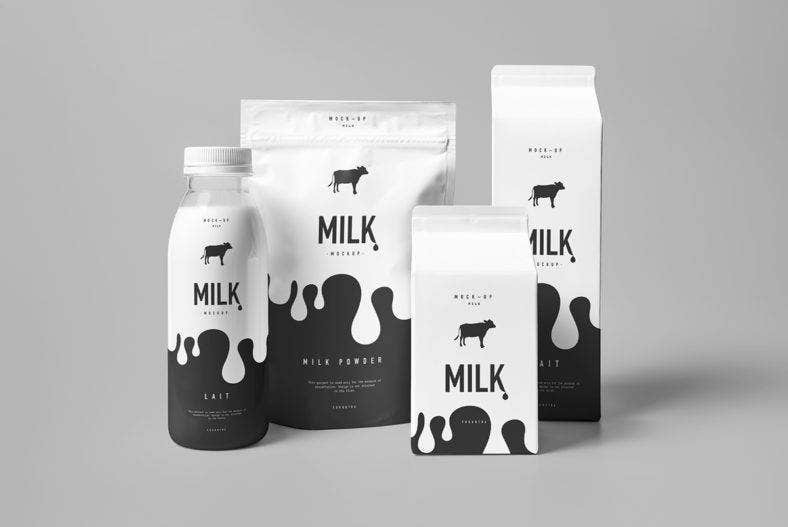 Get the Milk Product Templates for you to create your own stylish label designs, and have them looking fantastic and intriguing. Because milk tends to be a household commodity, you can take advantage of the label design to have your brand stand out from the competition. 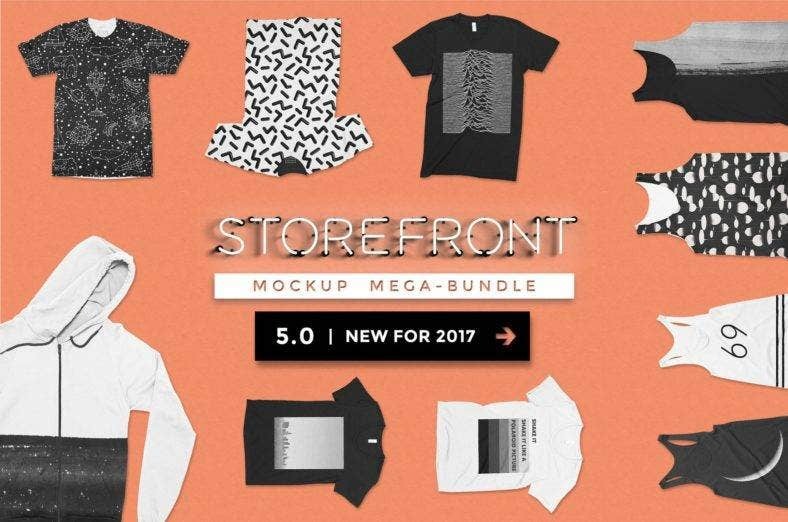 If you want to see your fashion and beauty product labels before the production, use this Storefront Apparel Mockup to get a realistic view of your designs. You’ll get a handful of design templates for your fashion products to give you a high-quality overview of the ideal look of your label designs. One of the essential parts in cosmetic branding is the product label and packaging designs. Start your business right by setting up a mockup of your own line of products and incorporating your designs seamlessly on different container templates and more. It’s a good way of perceiving possible setbacks or changes that need to be addressed. 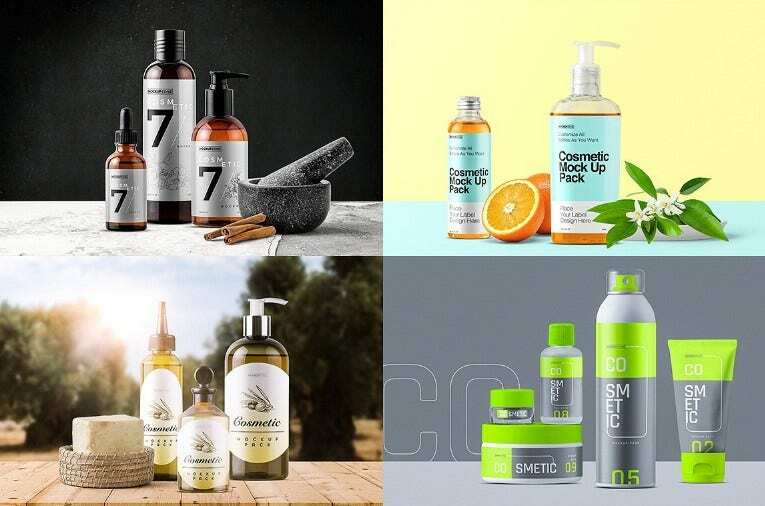 The Cosmetics Mockup Creator is your go-to source if you want to create various scenarios with different themes and designs for every type of product you’ve got lined up. From vintage bottle labels to monochromatic minimalist jars, design your cosmetics items with ease and in style with this mockup creator. Get these downloadable label templates and mockup creators to help your brand and your company soar. They are sure to give you high-quality outputs while being very user-friendly. Take your pick from these free and premium templates!